Videos are among the most effective communication tools in existence to improve employee engagement. They grab and hold people’s attention, and they’re often very memorable. Even videos with weak production values can have high entertainment and engagement value. It’s no wonder that so many companies use videos to train staff members and share information. And the following video categories make for particularly enlightening clips. Before you officially offer a position, you can show job candidates a pre-hire video. It provides a glimpse into your company’s environment and culture by depicting typical workdays. It should also list your rules and beliefs, including the fact that you operate without unions. Testimonials from current employees and customers can likewise illustrate your brand’s character. A crisp video helps applicants make last-minute decisions. Does your workplace really seem like the right place for them? Do they suddenly realize they’d be a better fit elsewhere? Once you hire someone, play your new hire video. Reiterate your benefits and basic expectations, and explain them further. Delve into the history and unique features of your brand. Just don’t go into too much detail since new employees have so much to learn. This video should restate your union-free business model. You could explain how your company isn’t opposed to unions but has established this system for the welfare of all employees. Another onboarding video is your company philosophy video. It should include information for and about every division in your organization. Here, explain how your UnionProof culture works — a culture, be sure to mention, that your entire team endorses. Describe how your company makes decisions and how disputes are mediated. You might rely on open-door policies, after-hours meetings or other helpful methods. These are all great tools to improve employee engagement. Each year, screen your benefits video for employees; you can invite their family members to come in and watch as well. It ought to describe your total compensation package and remind everyone how to take advantage of perks and benefits. You might discuss how your human resources team can assist, which online forms to complete, how enrollment processes work and so on. In short, be as thorough as you need to be. Finally, once or twice a year, workers and their families could view a company update video, one that’s full of news and testimonials. It can spell out your organization’s achievements during the past year and its goals for the year to come. Remind everyone, too, of the culture that makes your workplace so special to improve employee engagement. The purpose of such a video is to inspire and make everyone feel included and valued. Thus, it can be a rousing way to start or conclude a meeting or a conference. 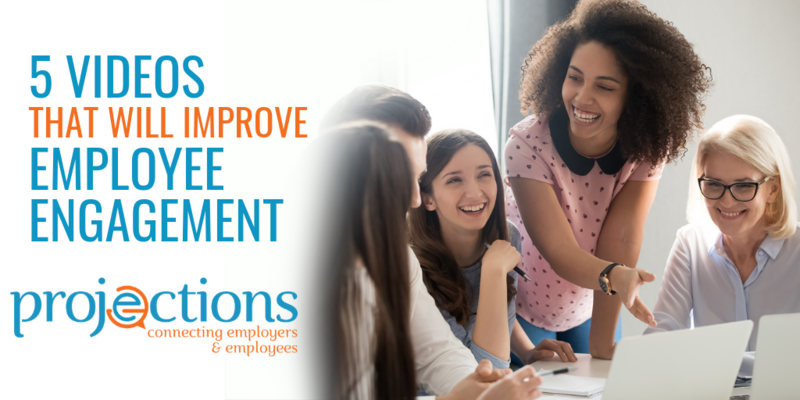 In the end, engaged employees are happier, more productive and likelier to stay with your company for a long time. And videos are great a great tool to improve employee engagement, delivering consistent messages and building a strong UnionProof organization. You can either film these yourself onsite or consider hiring a company proven to create videos that improve employee engagement. In over 25 years of helping companies connect with their employees, Jennifer has gained a unique perspective on what it takes to build a UnionProof culture. By blending a deep understanding of labor and employee relations with powerful digital marketing knowledge, Jennifer has helped thousands of companies achieve behavioral change at a cultural level.